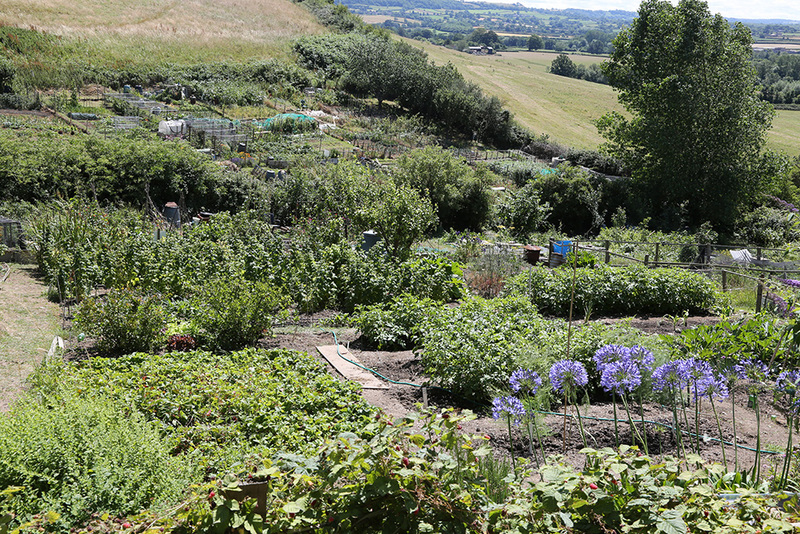 Wotton-under-Edge Town Council runs two allotment sites, one at New Road having 42 plots, and the other at Knapp Road having 35 plots. Both sites are situated on south to south west facing slopes benefiting from well-drained soil. Part of the Knapp Road site was acquired by the Town Council in 1968. The land at New Road formed part of the Secondary Modern School as a smallholding, rearing some livestock and growing crops. In 1973 Katharine Lady Berkeley’s School became a comprehensive, and moved site. The land was acquired by the Town Council to be used for allotments. A portion of land at the New Road site is also leased from The Stephens Trust. There is usually a waiting list for both sites and some plots are available as a half plot, should a full allotment be a little too much for site plans please click here. Knapp Road Allotments used to have an active Management Committee. The New Road site is in the process of trying to form a Management Committee for tenants. The Town Council has an Allotments Committee which meet four times a year and organises the annual Best Kept Allotment Competition, also incorporating an award for the Best Newcomer. All new tenants receive an Allotment Agreement along with a quick reference of Dos and Don’ts and some useful National Allotment Society leaflets.